If your wanting to lose weight you need the best bathroom scales, in this review were going to cover Withings ws 50 smart body analyzer. You know how the story goes, you think you’re losing weight you step on the scales and you look down and nothing has barely changed. You look different you feel different, people are even commenting on you look better and what is your secret but them numbers on the scale tell you something else. You think are these scales broke? Possibly but there is something else at play when you’re losing weight something you probably haven’t thought about…..
It’s frustrating I know, been there myself but here is the good part if you have been exercising to lose weight or generally more active than you previously were, then there a good chance you have gained lean muscle and perhaps your bone density has even increased. Your scales that are in your bathroom just don’t account for this when you step on them, they more than likely just tell you your weight, unless you have invested in some decent ones. That’s why I am going to break down the Withings WS 50 Smart Body Analyzer, should you have this tool in your fat busting arsenal? These bathroom scales come in either black or white, and look aesthetically pleasing and will fit nicely into any bathroom. There is a whole bunch of features on these, some you probably wouldn’t expect,I certainly didn’t, such as weather forecast for the day and will even monitor your Indoor air quality and will notify your smartphone with high readings such as carbon dioxide letting you know to let some air in. Because there are a few features to make it easy to understand its best if it’s broke down one by one. Weight Measurement – As standard, I’d be shocked if it didn’t have this feature! The impressive thing about these scales is the accuracy, they have position control technology to give you correct data each and every time within .2 lb. Body Composition – Not only does it measure your weight but also the percentage of body fat to give you a better indication of weight loss. Weather Forecast – If jumping on the scales is something you do every morning then this is handy for your clothes choices when you leave the house. 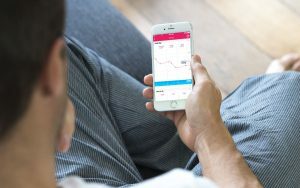 Air Monitoring – Monitors the air for CO2 levels giving you a notification to air your room out, helping with restful sleep, sleep can help with weight loss. Family Friendly – The scales will identify up to 8 users, simply create a profile for each user and when you step on it will recognise that family member. Wifi – Effortlessly sync all your data with your smartphone and the free app you receive with it. On top of this, it also has the capability to use in conjunction with 160 fitness apps including MyfitnessPal. The scales seem versatile enough and can take a lot of weight, one of my concerns about these scales is how accurate the heart rate monitor is. To get an accurate heart rate reading you usually have to wear a chest strap or use an ECG machine as small electric pulses entering from the feet may not give you that pinpoint accuracy which is needed. Also regarding the heart, its not compatible with anyone who wears a pacemaker as the small electrical current could interfere. The fact you differentiate between body fat and muscle will be a powerful tool in combating weight gain and motivation. The other features that are impressive for bathroom scales are versatility with different operating systems and can sync with IOS Apple watch and android not to mention a whopping 160 fitness apps. I also think the weather forecast is a waste of a feature, we all know the weather’s unpredictable right? I would prefer to see muscle mass and bone density threw in instead, but not a big deal. They have beautiful sleek design and the air monitoring feature is also a powerful tool for being sleep deprived and weight gain go hand in hand and eliminating as much carbon dioxide before you settle down will give you that edge. I know there are better scales out there but you’re looking at spending a lot more for just a few extra features you can live without, for the price point of these and everything you receive its a great investment into your health and your family. Out of 3700 reviews, it has 3.8 stars which are pretty good for that amount of feedback, I did look into a few of the negative ones and it seems their product didn’t work and like I mentioned heart rate isn’t that accurate. One person says they love the actual scales but having an issue pairing it with their apple products and give it one star, I think that is a little unfair as could have met it half way as the scales work fine. Another customer gave it 5 stars as it paired up nicely and gives quick readings. I try not to look into reviews too much as people are a lot quicker at giving bad feedback than they are positive but the overall majority of the people are happy with this investment. For the price point of £89.99 (about $150 depending on the currency market), you’re going to be pushed to find the best bathroom scales and I believe that Withings ws 50 smart body analyzer is top of its game. If you really want to lose weight and track exercise then this is the best for as the accuracy apart from the heart sensor is second to none and you won’t be disappointed with this investment. If you want to see more reviews or you’re ready for real data and measurements then click the relevant link below to take you to amazon as the best price is there at the moment. If you want to banish your body fat click the red button below for the only piece of equipment you will ever need!! This is an amazing review for a scale! Actually I am looking to buy a new scale because mine is not working very well. I am thinking of investing in this one. This scale looks great because it connects with your phone and has a lot of functions to it. Thanks for the review! For the price of these bathroom scales there totally worth it! Sounds like an incredible product! I really like how you started the article by an all too familiar story that most everyone can relate too of being confused and misled by stepping on a bathroom scale. I appreciated how you laid out all the features of this Withings WS 50 scale first, explaining each one briefly and then in the next section gave your honest opinion coupled with other user reviews. Very well written with a clear and easy to read page design. Thank you for your kind words I try with all my reviews to be honest about the flaws aswell as the bits that work well, there are to many sites out there wanting hard earned cash. 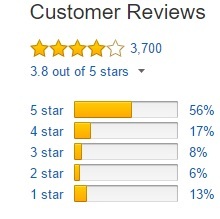 I can’t find anything like the scale you have reviewed here, anywhere around my local vicinity. The specifications of the Withings WS50 is just advanced and sophisticated. I would find the weather forecast to be very useful too. Looking at all the features of the WS50, does it have to be connected to the internet via Wi-Fi or other mediums? Its ability to be able to detect body fat is a great plus point as well! They are really good scales and by a company that produces high quality as well, it doesnt have to be connected to wifi to be used but if you want synching features and the weather ability then yes you would need WIFI. This bathroom scale sounds like it has progressed light years ahead of the older models I’m used to seeing. I’ve always been told that you need to see the difference in a quality mirror where the older scales only measured overall weight. This scale has the high-tech advantage. How does the scale measure and know the difference between body mass for muscle and body fat? They really have come on heaps and bounds but the old ones still are very good thats why hospitals and doctors still use them. The way it tells the diffrence is through small electric pulses, these pulses travel faster or slower through muscle and fat. Great article on these smart scales. I always thought a scale was for measuring your weight until I saw one of these smart scales around. Your review gives a good rundown on this model and makes me think that I really do need to be thinking about getting a smart scale if I am going to be serious about loosing some weight. You can still lose weight with out them but there a really good tool to have in your arsenal for weight loss, purley for the motivation, so many people jump on dial scales and become discouraged. The scales tell them one thing and the mirror tells them another. I’m glad I came across this page! I’ve been losing some weight, and I’ve mostly been worried about how much fat I’ve lost (that’s my primary focus). This scale looks amazing, and I didn’t know it could do all of this! I may grab one of these. Thanks for the thorough review! They are really good Jay, for the price there accuracy is really top notch albeit the heart rate monitor which I am still unsure about.